Thanks to the strong Kroner, Norway is not a particularly cheap shopping destination, but you can find some good deals in the less specialised shops. However, shopping in Oslo isn’t really about bargain hunting, but quality design and crafts, which are done wonderfully well in the Norwegian capital. Top of the list though, is the plethora of shops dedicated to fashion, in which area (like the other Scandinavian capitals) Oslo truly excels. 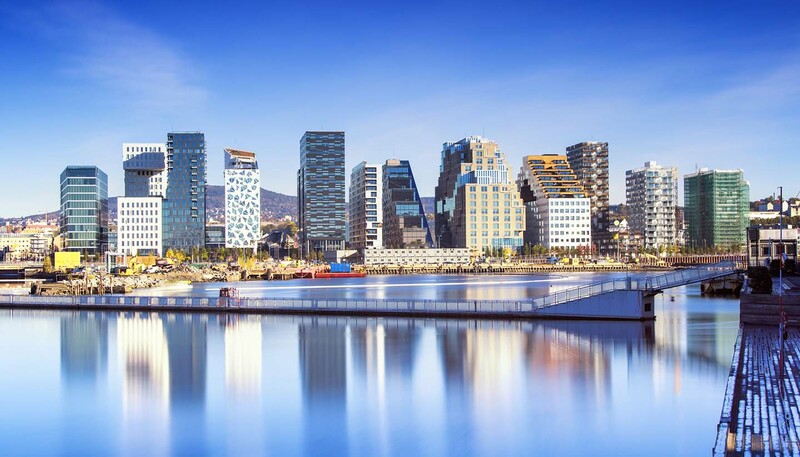 The main shopping districts in Oslo are in Frogner, with its antiques and art galleries, the market stalls of Bogstadveien, and the area around Karl Johans gate where you’ll find the big brands. For local fashion, Grünerløkka with its quirky independent boutiques and second-hand bookshops is your best bet. Good shops for crafts include Heimen Husfliden (Rosenkrantz’ gt. 8) with its huge assortment of handmade goods, including knitwear, pewter, ceramics and national costume, or Norway Designs (Stortingsgate 28), which has a large selection of work by Norwegian folk artists. The Oslo Sweater Shop at Tullins gate 5, has one of the best ranges of sweaters in the city, while William Schmidt (Karl Johans gate 41) has been specialising in sweaters and souvenirs since 1853. Farmers’ markets heaving with fresh produce and handmade crafts are a regular occurrence at Valkyrie plass in Majorstuen or Birkelunden in Grünerløkka, but times and dates can change at short notice, so check www.bondensmarked.no before you go. For crafts, jewellery and trinkets that won’t break the bank, try Vestkanttorvet Flea Market on Amaldus Nilsens plass. Open only on Saturdays, the friendly atmosphere and huge variety of colourful stalls make it worth visiting whether or not you’re planning to spend any money. 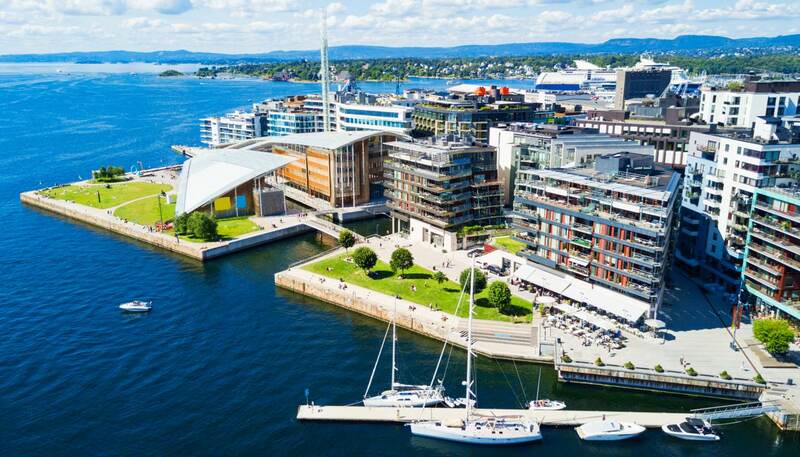 Aker Brygge, on the wharf next to City Hall, is Oslo’s oldest shopping area, while one of the biggest shopping malls is Storo Storsenter, near Oslo S station. Both stock all the usual international brands along with a sprinkling of independent shops. Most shops in Oslo are open Monday to Wednesday and Friday 0900-1700. Thursday is late opening, until 1900 or even 2100, while on Saturday, most close early - generally around 1500. Shopping centres are open until 2100 on weekdays and 1800 on Saturday. Norwegian knitwear is among the best (and most famous) in the world, thanks to its intricate patterns and excellent quality. Traditional styles include selburose, an angular rose-shaped pattern, and quirky Fair Isle. The Oslo Sweater Shop at Tullinsgate 5 has a huge selection, all made from local wool. Other traditional crafts worth taking a look at are the hand-carved wooden trolls and other toys, which are found on practically every street corner and make wonderful gifts. The standard VAT rate in Norway is 25%.